Fred Sandback: Sculptures, 1968. Annemarie Verna Galerie, Zurich. Opened February 2, 1991. Fred Sandback. Magasin 3, Stockholm Konsthall. March 26-July 7, 1991. 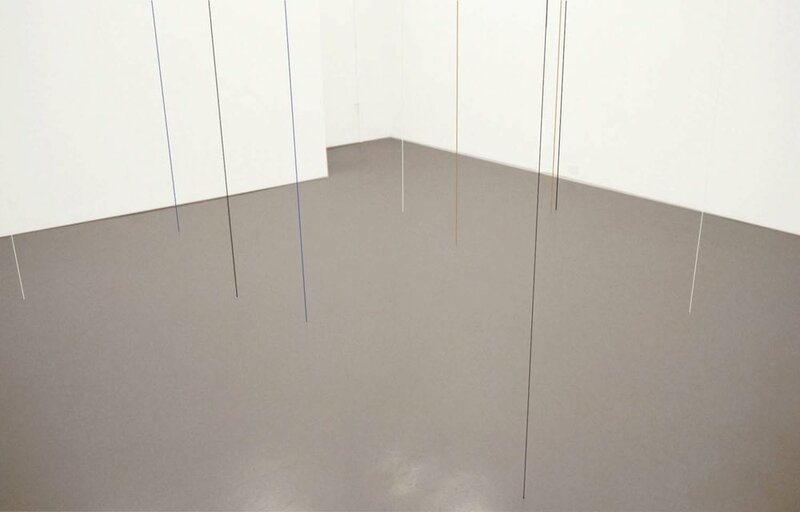 Fred Sandback: Sculpture and Drawings. Burnett Miller Gallery, Los Angeles. May 3-June 1, 1991. Fred Sandback: Skulpturen, Zeichnungen, Druckgraphik. Galerie Jürgen Becker, Hamburg. May 25-August 31, 1991. 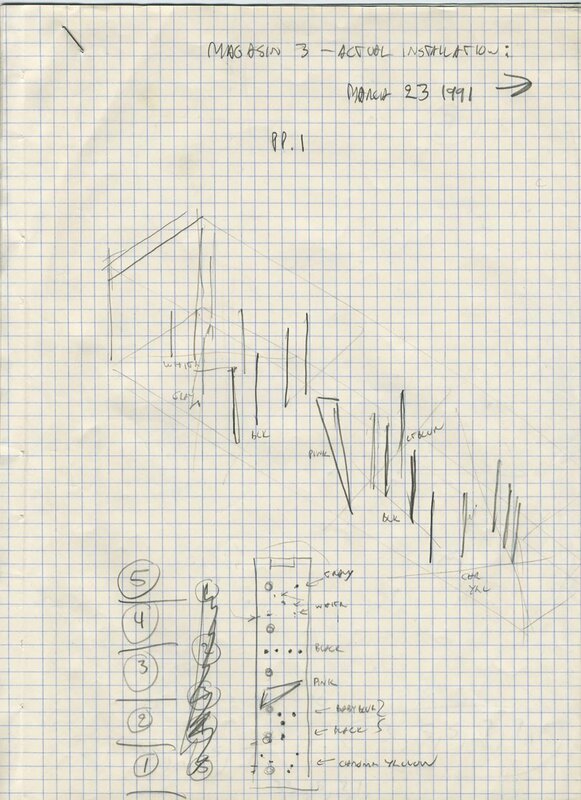 Fred Sandback: Ten-part Vertical Construction. Lawrence Markey Gallery, New York. October 1-December 31, 1991. Editionen der Galerie. Galerie Fred Jahn, Stuttgart. March 12-28, 1991. Minimal Impressions. Richard Feigen Gallery, Chicago. April 5-May 4, 1991. Nouvel Espace. Liliane & Michel Durand-Dessert, Paris. June 8 -July 20, 1991. L'insoutenable légèreté de l'art. Musée de La Roche-sur-Yon, France. June 21-September 15, 1991. Traveled to: Musée de Poitiers, France, October 15, 1991-January 5, 1992. Twelfth Annual Boston Drawing Show. Boston Center for the Arts. September 5-October 5, 1991. Virginia Dwan: Art Minimal, Art Conceptuel, Earthworks. Galerie Montaigne, Paris. October 1-December 14, 1991.